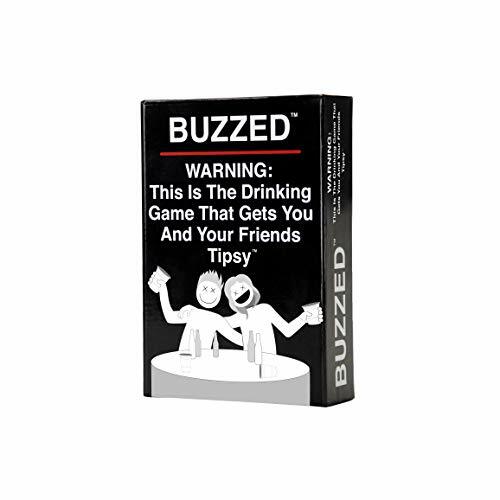 ADULTS ONLY: This is a drinking game, designed for ages 21+. Drink responsibly! HOW TO PLAY: It's simple - take turns drawing a card from the top of the deck. When it's your turn, read the card out loud and either you or the group will drink based on the prompt on the card, depending on what it is. Lather, rinse, repeat. Designed for 3 to up to 20 players. WHAT'S INSIDE: 180 cards, printed on premium playing cards (thick with gloss finish); shrink-wrapped in a custom box. MORE FUN: Did you know that we also make other awesome games? Check out our OG bestseller What Do You Meme (plus a ton of fun expansion packs), and several NEW adult party games for ages 17+. We're also working on some family-friendly games so stay tuned!